I joined a blog fest over at Something Else to Distract Me today, and the topic is gone but not forgotten TV shows. We’re supposed to list our top five shows that are no longer making new episodes. Although I get my Michael Weatherly fix on a fairly regular basis on NCIS, I still miss me some Logan Cale action. Jessica Alba and Weatherly were a match made in Manticore, and I was so sad at how the series ended—so lame, and so much left unresolved. As bizarro as season four got, I miss all the Seth Cohenisms. And although there are O.C.—like shows out there, they’re nothing but sad imitations in my eyes. It’s nice to see some of the actors pop up from time to time—Benjamin McKenzie is on a show that no one watches, Alex pops up on House reruns (Is she still on it? I’m behind on House), and Summer’s dad is on NCIS from time to time as well as All My Children, which I don’t watch—it’s not enough! One of the best-written shows ever. That is all. Bill Cosby just makes me smile. And no matter how many times people on Twitter try to say he’s dead, Heathcliff Huxtable will always be alive in my heart. This one really stings because they’ve been pretty stingy on the DVD releases as well. Dark Angel was good and getting a lot of press today. 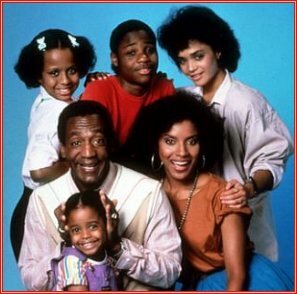 The Cosby Show was a great pick for this blogfest. That show was hugely entertaining and changed television forever. Great list! Thanks! It will always be one of my favorites! Space Ghost Coast to Coast!!! YES YES YES YES YES. Just thinking about that show makes me smile. There was a time in my life when I came home from school sat on the couch and would not MOVE until it was over. Looking at your tags, I think I just found my new favorite blog! 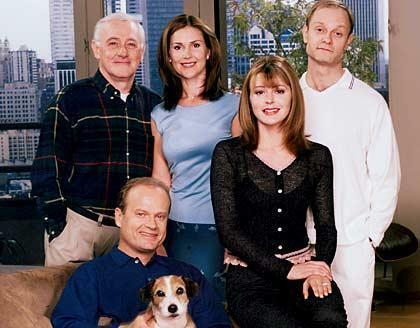 Frasier and the Cosby Show! Great choices! Thanks! Can’t wait to check out yours! You are so right about Dark Angel. It ended so lame. But it did bring me Jensen Ackles so I’m not complaining too much. I miss Seth Cohen too!!! It’s not the same without him! Space Ghost rocks. I almost listed Brak in my top 5… and I love Bill Cosby so much. I watched Bill Cosby Himself all the time as a kid. I watched it again recently and actually GOT it. Good call on The Cosby Show! I loved that show so much!